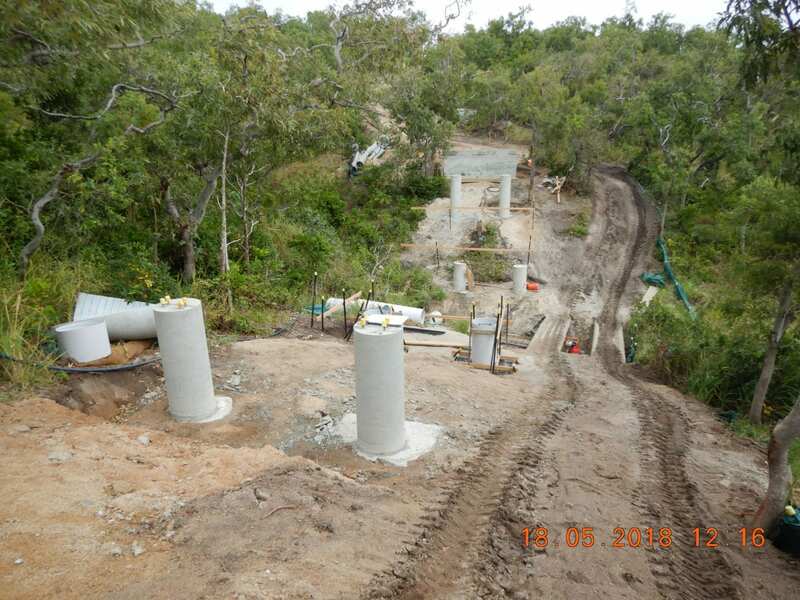 Description: Black & More acted as Superintendent for construction of an access road leading to a future works site on Lizard Island. 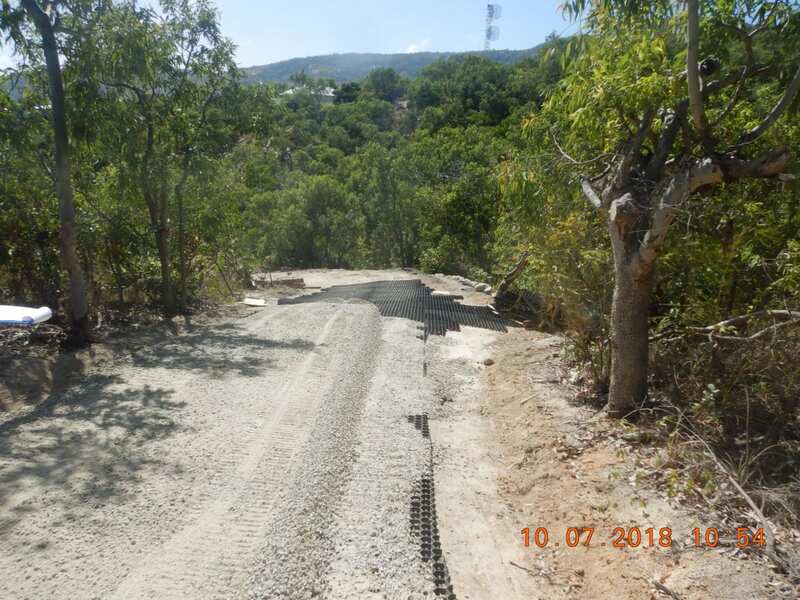 The idea of the road was to utilise natural materials where possible covered in a Type 2.2 imported gravel held in place by a Geohex grid system. 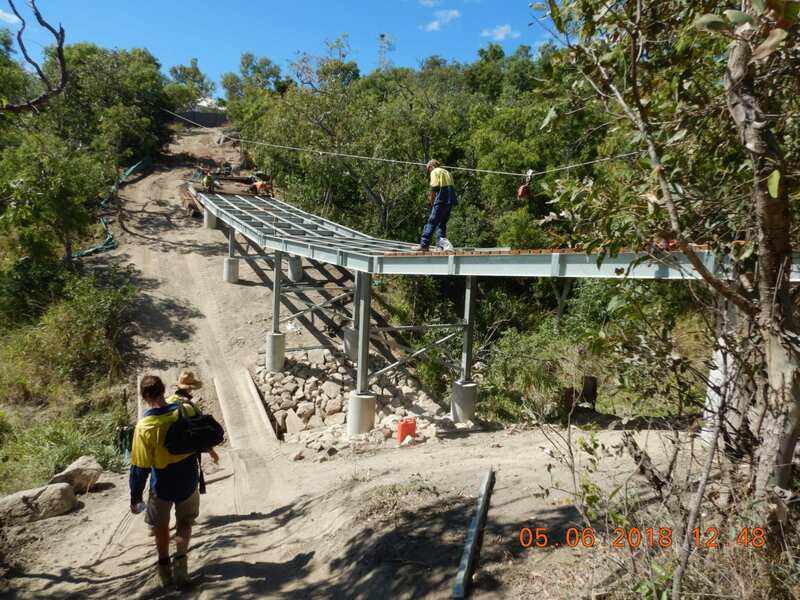 To transverse a waterway a bridge was constructed using steel framing and timber decking.